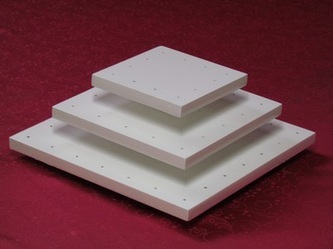 Minimun order is a dozen of one design. You can choose from our range of cake flavours, frostings and chocolates. These are delicious inside and good looking outside. You can choose from our range of cake flavours, frostings and chocolates. The vanilla chocolate allow us to play with colours matching your theme. Finally, they are hand crafted decorated with lace design, striped design or swirls design. 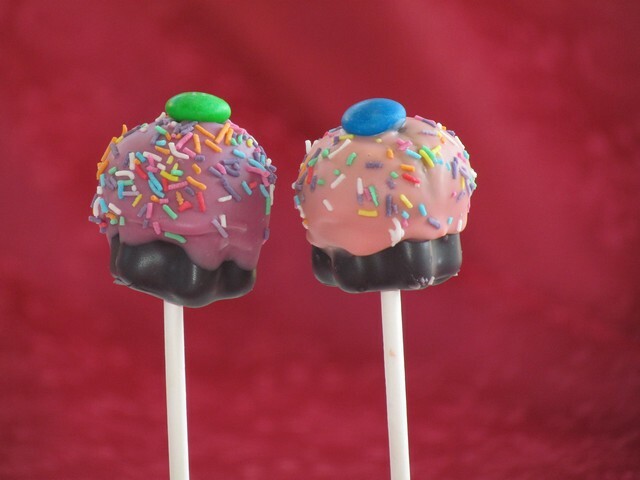 They are delicious moist cake inside and dipped into dark chocolate, milk chocolate or vanilla chocolate. The vanilla chocolate allows us to play with colours matching your theme. 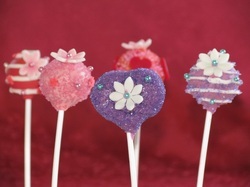 Finally, they are topped with sanding sugar, sprinkles, white pearls or pink pearls. They combine elegance and great taste. Theses cake pops are decorated in more detail giving more wow factor. 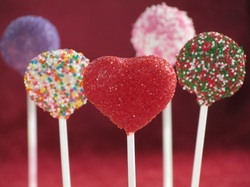 Lots of flavours, just chose your combination from our flavour chart. 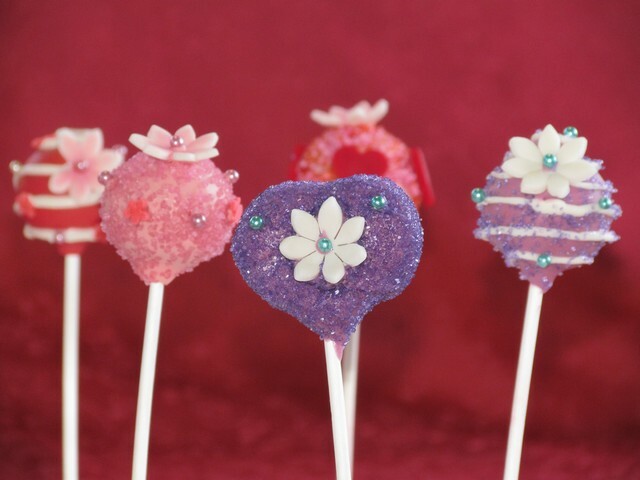 They are hand crafted decorated with lace design, striped design, swirls design, sanding sugar, cachous pearls, and sugar figures such as flowers, hearts, crosses, etc. 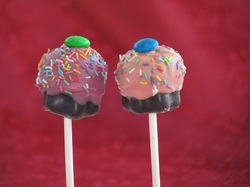 Delicious cupcakes pops, they can be made in any cake flavour. 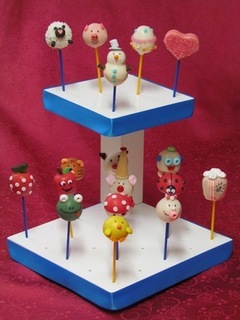 The bottom is covered in dark chocolate and the top in white chocolate which can be coloured in a colour of your choice. 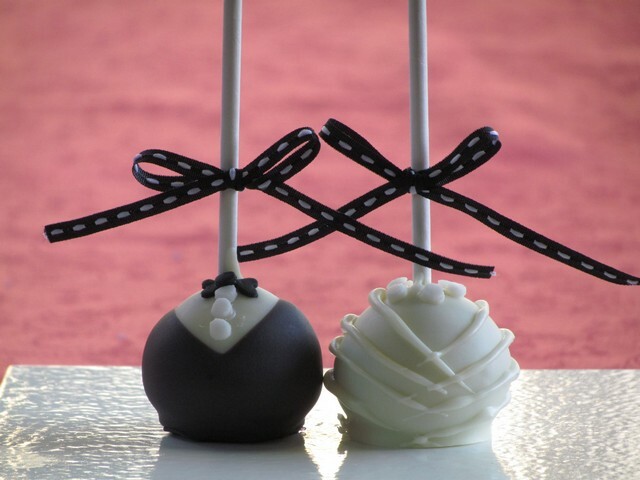 Wedding Cake Pops are sensational and everyone will love them and admire. They are decorated with precision and elegance. Chose from our range of flavours and surprise your guests. 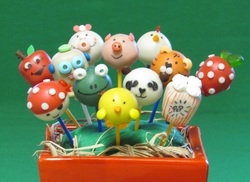 Novelty Cake Pops are sensational and everyone will love them and admire. They are decorated with precision. 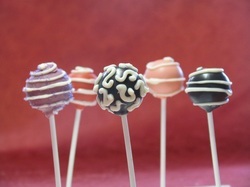 Chose from our range of flavours and designs and surprise your guests. 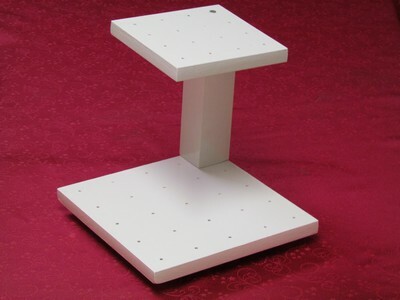 $75.00 safety bond which will be refunded once the stand is returned. 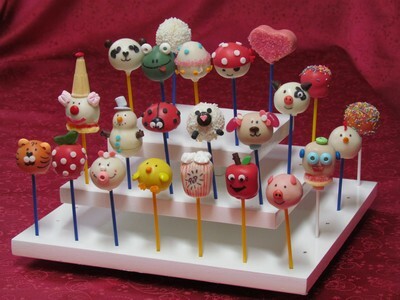 The cakepop stands can be decorated with a customized colour ribbon to match your theme for no extra cost. Pick up Friday, drop off Tuesday.